Facilitate the development of organic agriculture production, breeding, and processing methods. Prevent, control, and treat internal and external parasites in various livestock species; and Breed crops for disease and insect resistance, good yield in a biologically diverse system, compatibility with intercrops, good response to organic fertility sources, horizontal resistance (traits determined by multiple genes). Evaluate the potential economic benefits to producers and processors who use organic methods. Analyze potential economic costs, returns and risks of organic production systems; Use environmental valuation tools to quantify externalities of producing food, and compare externalities of producing organic and conventional food; - Analyze price and market structures, including ability of small, medium-, and large-scale growers to access different markets, in order to frame policies that minimize concentration within the industry; and Analyze marketing channels to document how organic food is distributed, what share of the organic food dollar is returned to the farmer, and the implications of large-scale manufacturers entering the organic market. Explore international trade opportunities for organically grown and processed agricultural commodities. Compare compatibility of certification standards used in different parts of the world, with the ultimate goal of harmonization and reciprocity; Undertake marketing studies of international consumer demand for U.S.
produced organic goods; and Perform Welfare analyses (quantified gains and losses for producers and consumers) of trade policies affecting international competitiveness, including implementation of the National Organic Program, domestic support programs such as the Conservation Security Act, country of origin labeling, GMO labeling, etc. Determine desirable traits for organic commodities. Examine relationships between nutrients in the soil and nutrients in the food grown on that soil, including long-term soil nutrient and crop nutrient profiles under conventional and organic management; Perform comparisons of nutrient levels between organic and conventional crops and relationship, if any, between taste and nutrient profile; Investigate the role of post-harvest handling and treatment in the maintenance of quality in fresh market organic products; and Determine the reasons for consumer preferences for organic goods. Identify marketing and policy constraints on the expansion of organic agriculture. Analyze opportunities and constraints to organic agriculture resulting from provisions of the Farm Security and Rural Investment Act of 2002; Investigate specific barriers to markets, such as scale-based regulations that restrict family farm access to processors and/or markets; Study negative lender perception of organic farming and ways to change this; and Analyze regulatory barriers, such as lack of access to Federal farm programs, and developing solutions to these challenges. Conduct advanced on-farm research and development that emphasizes observation of, experimentation with, and innovation for working organic farms, including research relating to production and marketing and to socioeconomic conditions. (Note: Many topics from other goal areas can be conducted on working farms.) Develop rigorous on-farm systems research designs; and Conduct long-term, interdisciplinary systems research. The Integrated Organic Program is particularly interested in proposed projects that emphasize research and outreach that assist farmers and ranchers with whole farm planning and ecosystem integration. Projects should plan to deliver applied production information to producers. Fieldwork for both program areas must be done on certified organic land or on land in transition to organic certification, as appropriate to project goals and objectives. 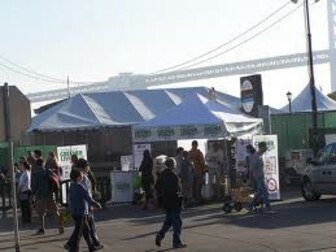 Refer to the USDA National Organic Program (http://www.ams.usda.gov/nop) for organic production standards. Applications may be submitted by State agricultural experiment stations, all colleges and universities, other research institutions and organizations, Federal agencies, national laboratories, private organizations or corporations, and individuals. For both ORG and OREI, all award recipients may subcontract to organizations not eligible to apply provided such organizations are necessary for the conduct of the project. applications must be received 60 days after publication of the Request for Applications. If a grant provides a particular benefit to a specific agricultural commodity, the grant recipient is required to match the USDA funds awarded on a dollar-for-dollar basis from non-Federal sources with cash and/or in-kind contributions. CSREES may waive the matching funds requirement for a grant if CSREES determines that: (1) the results of the project, while of particular benefit to a specific agricultural commodity, are likely to be applicable to agricultural commodities generally; or (2) the project involves a minor commodity, the project deals with scientifically important research, and the grant recipient is unable to satisfy the matching funds requirement. Grantees must submit Annual Progress Reports to CSREES that detail progress toward achieving goals and objectives of the project and a Final Performance Report that includes a brief project impact statement written in lay language. These reports should be succinct and no longer than five (5) pages, single-spaced, using 12-point font. They should include the following information about the project: (1) basic information (i.e., project title, name(s) of PD(s), award number, and reporting period); (2) a description of the stakeholder needs identified, problems addressed, and results of the project (including publications); (3) plans for the upcoming year; and (4) a description of subaward activity, including the process used to select recipients. Any students who work on a project should be listed in the project reports (i.e., report graduate degrees awarded and under graduates trained, as applicable). A budget summary should be attached to each report to provide an overview of all monies spent during the reporting period. Grantees also are required to submit annual and summary progress reports via CSREES.